Dr Catherine Hickey is a psychiatrist in St John’s, Newfoundland, Canada. She is an assistant professor at Memorial University of Newfoundland where she earned her medical degree. She did her residency in psychiatry at Dalhousie University and completed her fellowship in psychosomatic medicine (medical psychiatry) at Harvard University. She is certified by the American Board of Neurology and Psychiatry. She is also certified in Psychiatry and Geriatric Psychiatry by the Royal College of Physicians and Surgeons of Canada. 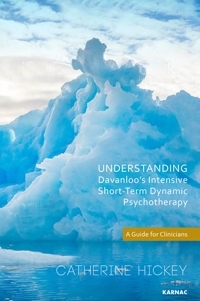 Her interests lie in Geriatric Psychiatry, Medical Education and Davanloo’s Intensive Short-term Dynamic Psychotherapy. She has completed a twelve-year traineeship with Dr Davanloo of McGill University and holds a Masters in Medical Education Degree from the University of Dundee. She is the author of several peer reviewed publications, most of which focus on the themes of Davanloo’s IS-TDP and competency based psychotherapy education.